We dressed in absolutely everything white that we own, as you can see. I bought the fascinator while in Germany a few years ago for a friend's wedding, and you'd be shocked at how many occasions I can find to wear it. (Or, maybe, not so shocked). The dinner officially got started with the napkin wave, accompanied by lots of whooping and hollering, aided by the fact that most people had already been on site for an hour or two, setting up and drinking wine. At one point a few hours into the dinner, after the Giants won their game against the Cardinals, someone at a nearby table waved their orange Terrible Towel. This led to a hearty Let's Go Giants cheer, which is even better than usual when hollered by wine-drunk people in formalwear. Trust me on this. We had dragged along two friends and sat with a much larger group, all of whom were decked out in some sassy finery. Mini top hats galore. We drank, we ate, we ogled, we made merry. Some of the other table setups were absolutely amazing - canopies strung with lights, huge flower arrangements, candles out the wazoo. The dinner might have been a tough sell for some (ahem, Mike, cough) who (rightly, she said grudgingly) wondered why we were paying for the pleasure of making ourselves dinner and carrying a bunch of crap to a field to eat it. But I loved it. 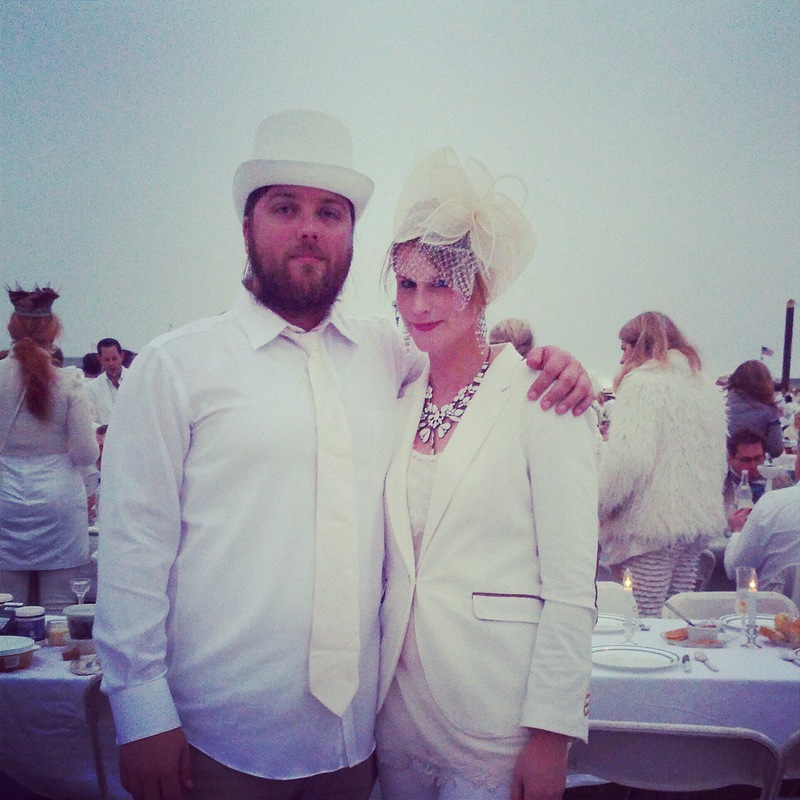 And we didn't even see anyone spill wine on their all-white getup! (I did get grass stains on my knees from crawling around under the table, but that's a different story.) Next year, you should join me.